Shido wakes up by the troubles of both Tohka and Yoshino and somehow resolves it, meanwhile Origami got suspended for two months by the AST. While eating their breakfast, Shido receives a text from Origami and they discuss about the event that happened a month ago, While cleaning the room of Shido, Tohka notice a suitcase (for their school-trip) that is a resemblance of a drama sequel on the television. Tohka got worried and rushes to find Shido with Origami. While Shido tries to make it up with Tohka by getting her some kinako bread on the way home he notices that the lock of his suitcase was broken, so he went out to meet up with Origami again. While Tohka imagines another scheme of the show she rushes again to find Shido. And this time he caught Shido and Origami together and imagines that Shido is abandoning her for Origami. Tohka gets jealous gaining some of her powers and runs off while carrying Shido's suitcase. Elsewhere, Tohka's unsealed power starts to create a spacequake. Shido rushes to find Tohka and finds her in their special place and Tohka (misunderstanding everything) tries to prevent Shido from leaving but he explains that all is a misunderstanding, while Tohka cannot control her powers and hit Shido with shockwaves but Shido manages to seals Tohka's power again. 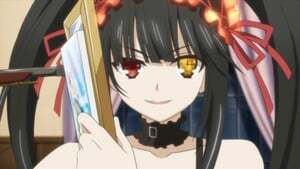 While Isaac and Ellen are scheming a plan for Tohka, meanwhile Kurumi plots to kill the first spirit. After a very awkward moment in Shido's class where Tohka tries switching genders in an effort to bunk with Shido, the class goes on a field trip to Arubi Island. 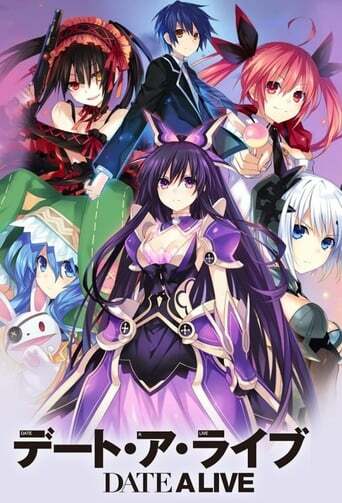 During the entire trip, Origami and Tohka end up constantly annoying Shido in an effort to win his affections. Meanwhile DEM Industries, an organization with an interest in spirits begins stalking Tohka. Some time later, a massive hurricane appears out of nowhere while Shido and Tohka are on a stroll. Three trash cans strike Tohka, knocking her out in the process while two spirits viciously battle overhead. 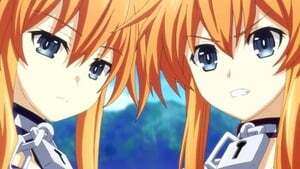 When Shido tries to intervene, the twin spirits Yuzuru and Kaguya decide that their next battle will be over winning Shido's heart to the latter's dismay. 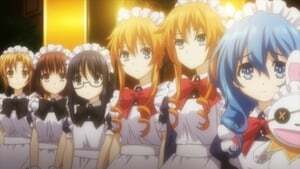 When the two girls follow Shido back to the class holding his arms, Origami becomes enraged over her new competition. 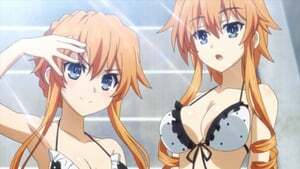 As Shido's teacher tries to arrange the girls to be students in the class, Kaguya and Yuzuru explain that they were once one spirit named Yamai and that their contests are in an effort to find out whose personality will stay when the girls fuse and become Yamai once more. Later that day, an incident occurs when the twins drag Shido into the men's bath in an effort to sexually seduce him. Things get worse when Tohka shows up along with the rest of the class. As the score results for the annual contest comes in, even though Miku won the best performance, the support of Raizen's Maid Café earns Shido enough declare winner. Depress and refusing to accept Shiori's friendship, Miku unleashes her angel Solo brainwashing the crowd, except Tohka, and hold down Shiori. But then Miku finds out Shiori is a guy leading her totally shock. To make matters worse, Fraxinus and Kotori fallen under Miku's control too, and Ellen abducts Tohka. 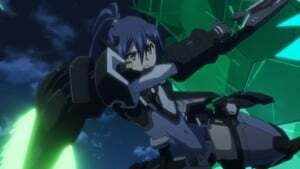 Shido manages to escape, however, he is now a fugitive in the city. 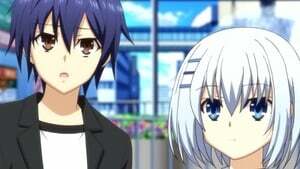 Thought-out the disturbance, Shido meets Kurumi and begs her to help him. 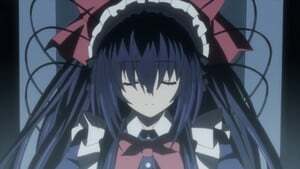 Tohka awakens in the DEM facility restrained.